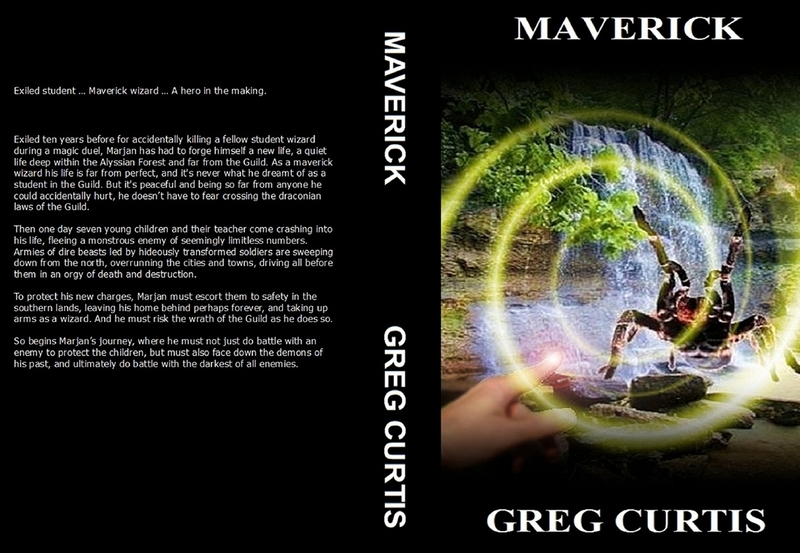 Thought I'd let you know what I've been doing, which is mainly to start going through the process of converting Maverick now that its been edited, into a paperback through CreateSpace. I've chosen the size six by nine for the book since it's rather long. This is very slightly larger than a standard paperback of eight and a half by five, but when I did my first PDF conversion of the text it came out at 850 pages. In this new format it's only 550 pages, which makes a huge difference in price and the sheer size of the book. Above you can see the first version of the cover, (reduced in size since I'm on dial up and the time to upload a four meg file is extraordinary - worse if the farmer across the way has his electric fence running!) I'm pleased with it, though will probably do some tweeking when the proof arrives in the mail. I'm a natural tweeker! My plans for the coming weeks are to get the proof and finish the process for publishing Maverick, and also to put out Alien on the Kindle and then start the process of converting that to paper as well. Over the rest of the year most of my other novels should follow - though I may be bald by then. Lastly a very bad fantasy joke: Did you hear the one about the wizard who turned his car into a garage? !